Call WaterLarm at 1-844-321-LEAK (5325) if you would like a FREE site survey. 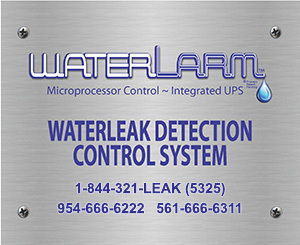 For more information on how the WaterLarm leak detection system can protect you from thousands of dollars worth of damage. Please provide us with the following information in the contact form below. © 2016 WaterLarm. All Rights Reserved.